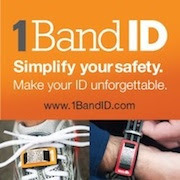 DETROIT RUNNER....: Injinji Toesock giveaway! 8 miles on the schedule today. Another fantastic run today. This week has been the complete opposite of last week. My legs felt good, the hips are much better and I enjoyed each run. I was reading about ultra marathoners and running and many wear compression shorts. I rarely wear the ones I have but did on both 8 milers this week and it really helped the run feel better. I do wear compression in winter but no usually summer but I will now on any run more than 5 miles. I have an awesome opportunity for you guys. I'm doing a giveaway for a couple pair of Injinji Toesock's. I'm sure you have read my reviews(HERE and HERE). If not, go read them! I have been wearing Injinji socks this summer season and initially tried them just to test them out for a review. I was blown away by their quality and comfort. I didn't think I would like them at all but they are now one of my "go-to" brands for socks and I wear them regularly now. As I said in the reviews, I really like the lightweight version and I love the mini-crew height. That's my favorite combination. The socks come in all kinds of different weights, heights and colors. Here's the four samples of what I've been wearing in order of preference. Super thin - I like! I've been looking for a pair of Vibram Fivefingers to go with the socks but I have yet to pull the trigger on those. While I wear the socks no matter what shoes I wear, the Vibram shoes would only be for walking/working out and maybe VERY short runs. I just have to find the ones I want. So how about it? 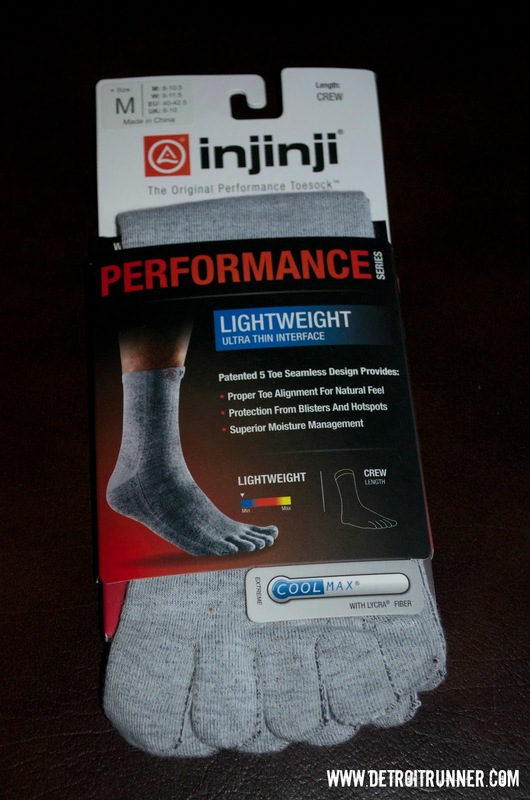 Want to try the Injinji socks? How about two pairs! Yes, the lucky winner will get two pairs of Injinji socks of their choice(subject to availability). How awesome are they to sponsor this giveaway? Go to the Injinji Facebook page HERE, like their page AND tell them "Detroit Runner Sent me" (1 entry) and let me know here with a comment. Go to the Injinji Twitter page HERE, follow them AND tweet this "I'd love to win @Injinji socks from Injinji @detroitrunner1 giveaway"(1 entry) and let me know here with a comment. 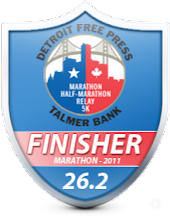 Go to Detroit Runner Facebook page HERE and "like" my page(1 entry) and leave a comment here that you did. Please be sure to include a separate comment for EACH entry. That's four chances to win!!!! Contest will end Monday, August 20th at 9pm. 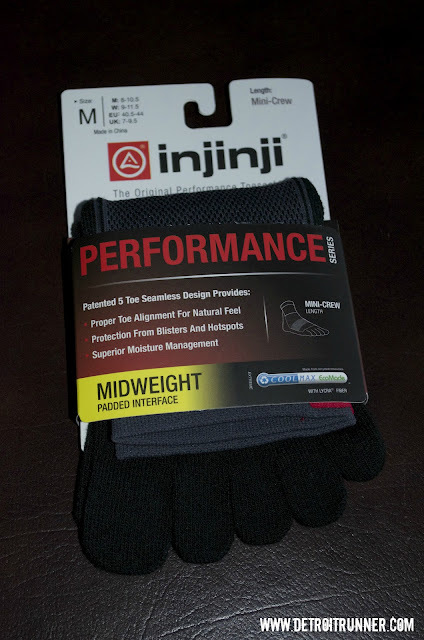 * Note: I received two free pair of Injinji socks for this giveaway courtesy of Injinji via Outdoor PR. I was not required to give a positive review and all opinions here are my own. I would probably pick the original or the lightweight. I think the no shows in fun colors or the mid weight for the approaching temps would be great! Went to their site and LOVE the Mini-Crew/Rainbow White CoolMax EcoMade socks. Also really like the No-Show / Gulf Blue and many more colors. I love the Canyon Pink! 2. Liked Injinji and left a comment. 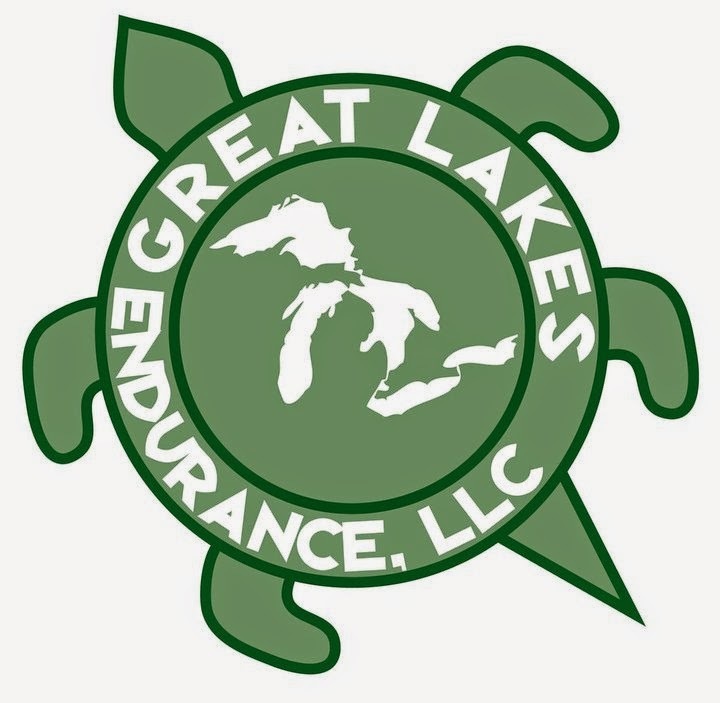 +1 "Liked" on fb and posted "Detroit Runner Sent me" on their wall. +1 Followed and tweeted "I'd love to win @Injinji socks from Injinji @detroitrunner1 giveaway"
I'd like to try the midweight grey... they look very comfy. I'd go with the lightweight mini-crew in black! I would definitely get the lightweights, just because I like the lighter feeling. I liked Injinji on Facebook and told them you sent me there! I liked the Detroit Runner Facebook page! I'd go with the lightweight no-show socks. They're perfect for wearing with VFFs so you don't get that nasty wet sweaty feeling in your toes. They're great for regular shoes too!